4.0 out of 5 starsWell thought out characters and mixing in real-life historical references. 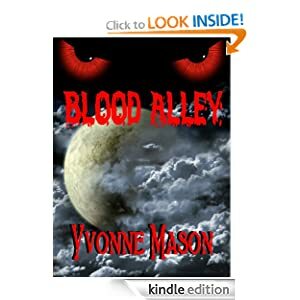 It is plain to see that Yvonne Mason knows crime. A graduate in Criminal Justice and a licensed bounty hunter, you can tell all the research that went into writing this book. She takes the infamous events of Whitechapel in 1888 and puts a interesting spin on the legend of Jack the Ripper. This book reads like one of those movies I used to watch as a kid from International Pictures or even the old Hammer Films of the ’60’s. 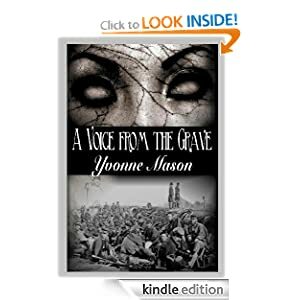 Kudos to Yvonne for writing a story with well thought out characters and mixing in real-life historical references to make this novel a treat. The ending has just enough mystery to keep you guessing long after you finished it. The Mad Hatter took over four years to complete. It was very important that the history of 1888 in Whitechapel be correct. I even purchased maps of Whitechapel in that time period. I purchased books on clothing, furniture,mercury poisoning, tanning, hats, money, the hat factory that was on the Thames, bridges and behavior- as well as many other details. I download photos of buildings of that time period, and I also went back to the research I had done when I was in College on Jack the Ripper. I basically drove myself nuts to make sure that the setting was as it should be for 1888 in the East End of London. Apparently it paid off. This reviewer understood what I was trying to do. It was totally worth all of the rewrites the sleepless nights and the hair pulling to get it right. 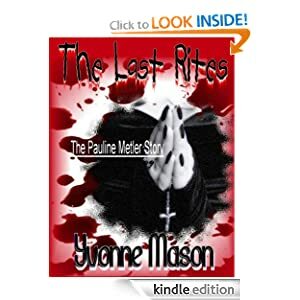 YVONNE MASON – WOMAN IN HORROR! 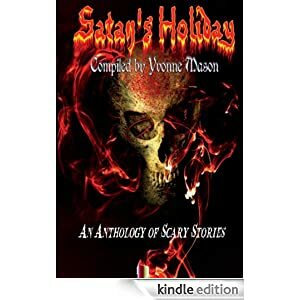 Yvonne Mason is my Woman In Horror today! 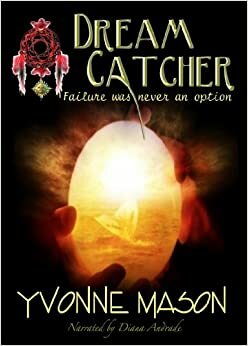 Yvonne is an award winning author of both non-fiction and fiction. 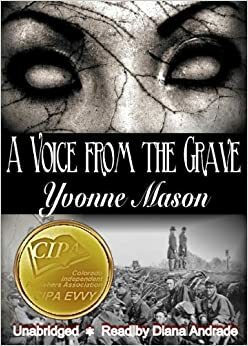 I am just in time to give everyone advance notice of Yvonne appearing on Blog Talk Radio on February 19th https://indieauthoryvonnemason.com/…/i-will-be-appearing-o…/. The show starts at 8:00pm Yvonne will be on at 9:00pm You don’t want to miss this show. It will be a hoot. She will be talking about her new release the Mad Hatter as well as her other new release Do You Dare?. This is a part of Friday Night Freak Show on Mad World Radio. explains her beliefs, gives great advice, has marketing links and much more. And, it looks great. I would give a little bit of biographical information here, but her Amazon bio does a super job. That is posted below. I will point out, though, that she is a licensed bounty hunter for the state of Georgia. In my opinion, that is utterly fascinating. Licensed bounty hunter for the state of Georgia. After a 34 year absence, returned to college in 2004. Graduated with honors in Criminal Justice with an Associate’s degree from Lanier Technical College in 2006. Nominated for the prestigious GOAL award in 2005 which encompasses all of the technical colleges. This award is based not only on excellence in academics but also leadership, positive attitude and the willingness to excel in one’s major. 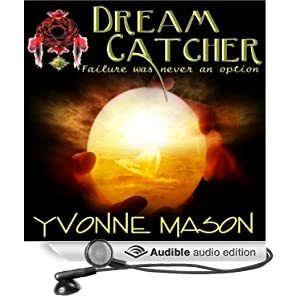 Since learning to write at the age of five, Yvonne has wanted to be an author. She wrote her first novel Stan’s Story beginning in 1974 and completed it in 2006. Publication seemed impossible as rejections grew to 10 years. Determined, she continued adding to the story until her dream came true in 2006. Stan’s Story- the true story of her brother’s accomplishments, it has been compared to the style of Capote, and is currently being rewritten with new information for re-release. November 2008 – “How to write different genres” Lewis Carroll Sixth Grade Merritt Island, Fl. April 2008 at IRCC – “How to Sell One’s Self in the Business World” presentation to the student body. April 2008 at The Palm Glades Girl Scouts Council Sixth Annual Luncheon as the featured keynote speaker – “Dreams, Goals and Aspirations” presentation. May 2007 at Lanier Tech – “Succeeding in Life” Power Point presentation to the student body using the concepts of Stan’s Story. May 2007 at Blackshear Baptist Church – Power Point presentation entitled “Acceptance of Self and Others”. May 2007 at IRCC – “How to Reach Your Goals – It’s Never Too Late” presentation to adult women returning to school to become professionals in different fields. Let’s get to show and tell with some of Yvonne’s great books! 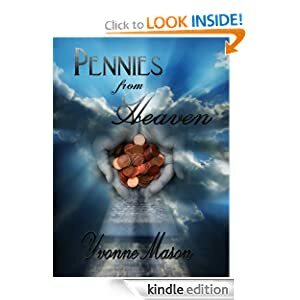 This is Yvonne’s newest book out. It is a collection of new and old horror tales that you will be sure to enjoy. I particularly like the opening tale, Blood Alley. This is a gruesome little ditty! Do You Dare? Do you Dare open the pages of this book and immerse yourself into the stories that lie within? Do you Dare read about children playing dice games in a crypt? Do you Dare follow a young woman as she revisits her past life as a witch? Do you Dare ride with a truck driver on a long lonely highway? Do you Dare listen to the Little Human as she watches a crime unfold? Do you Dare sit with a young woman as she rocks a child that is not there? 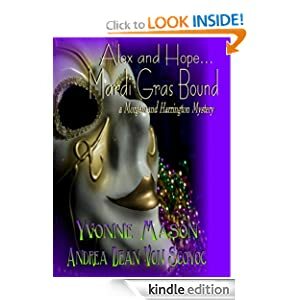 This is just a few of the journeys you will take as you travel through this book of short stories created and written by Florida Indie Author Yvonne Mason. 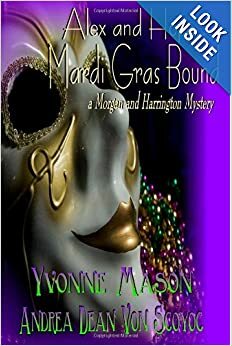 Ms. Mason known for her eclectic writings has gathered short stories she has previously published and some that have been waiting in the wings and put them together for your enjoyment. This little book or horror, suspense and tales will keep you awake at night and give you a different perspective of life in general. So the question now is DO YOU DARE? This story is an intriguing tale of horror with a most interesting twist. I love the title and the cover gives just a glimpse of some evil eyes. Oh yeah! The year is 1888. The Place is the East End of London. Dead and mutilated bodies are popping up all over the east end from Stamford to Whitechapel. Jack the Ripper is making his mark in the East End in ways that puts the city on edge, so to speak. Johnathon Rhoades has been exposed to mercury since he was a boy of sixteen working in his father’s hat factory, which he now owns due to his father’s unexpected death. The hats that are created at the factory are in such demand that he almost cannot keep up with the orders. Young Elizabeth, who happens to be in the employ of Johnathon Rhoades manages the storefront on Whitechapel road. As the body count climbs and all of the East End is quaking in their shoes, the hat factory is booming. Everyone who is anyone wants a creation from the Rhoades Hat Factory including Sam Flanghan, the local coroner. Who is the Ripper? Why are these hats so much in demand? Is the Hatter really mad? 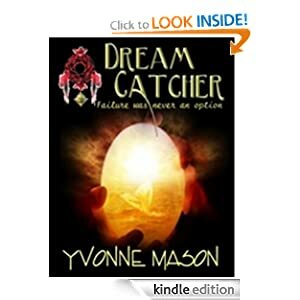 Yet another great book from Yvonne Mason. Set in 1800s London.It will keep you guessing”who did it”until the end.Beware of”The Mad Hatter”. Can’t wait til next book. Silent Scream is probably the book Yvonne is best known for. It is a non-fiction story about the notorious serial killer Gerard Schaefer. This was one bad dude, vile in every way possible. I learned a lot from this book. I learned that people can become bastards of the highest order. It was a time of innocence, a time of hippies, flower children and the Age of Aquarius. A time when young people felt free to roam about the countryside hitchhiking without fear. A time when law enforcement was trusted by the people they were sworn to protect and serve. That time was shattered by one of law enforcements own. His name was Gerard Schaefer. He was a former Wilton Manors, Florida Police Officer who lied his way into the office of the Martin County Florida Sheriff’s Office. He used his lie to continue to perpetrate his crimes of torture and murder of young women who hitchhiked along Florida’s roads. Gerard Schaefer shattered the lives of the families of these young girls and destroyed the faith of the public in law enforcement. He killed without pity. He tortured without conscience and he hid the crimes without thought. Schaefer not only destroyed the lives of as many as 34 young women, he kept trophies of his kills, and he lived the crimes over and over again. He believed he was doing the world and his victims a justice by ridding the world of the “whores” who hitchhiked. Gerard Schaefer was a narcissistic psychopath who wanted his fifteen minutes of fame. He believed he had earned it. 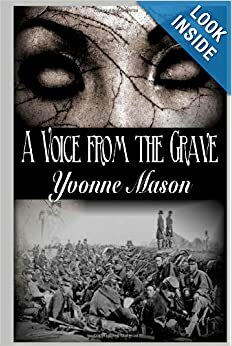 Florida Author, Yvonne Mason, in her newest release Silent Scream, has captured not only the essence of evil in Gerard Schaefer, she has also captured his brilliance. But more than that Ms. Mason has finally given a voice to the Silent Screams of Gerard Schaefer’s victims, the known and the unknown. Ms. Mason who has a degree in Criminal Justice and was a Bounty Hunter in Georgia before moving to Florida has given a voice to such victims as Georgia Jessup and Susan Place, the two who were discovered on South Hutchinson Island, April 1, 1973 seven months after they disappeared on Sept 23, 1972 in a shallow grave in pieces. She has also given a voice to Collette Goodenough and Barbara Ann Willcox who were killed in Jan 1973 and whose bones found four years later at C-24 Canal. Ms. Mason has captured the not only the pain, the agony and the suffering Gerard Schaefer’s victims went through, she has captured the pain, the anger and the hurt which law enforcement suffered at the hands of this killer. Even after thirty four years the ones who were in law enforcement at that time still haven’t forgotten. They still carry the emotional scars of the heinous tortures and murders of Gerard Schaefer on the innocent. Silent Scream is a voice for the victims. It is their way of never being forgotten and of also reminding each of us that at any time or any place we also can become a victim. 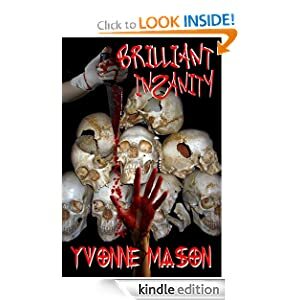 Yvonne Mason’s research for Silent Scream is thorough and detailed as she leads the reader through the case from its beginning to its end with the killer’s death in prison. Leaving no stone unturned in gathering information, she includes many photographs and presents writings by the serial killer himself. Every step of the legal process is described as well as the players in it. The nature of the crimes is graphically but sensitively disclosed. The reader gains informed insight into the methods and madness of Gerard Shaefer and begins to grasp and sympathize with the horror faced by his victims. schaefer was pure evil…….great book!!! To be honest, there are some one star reviews for the book. Yvonne is not an author who gets angry when she reads them. She, as do I, feel that reviews are subjective. My suggestion is for readers to read the free sample on Amazon for a book. If you like what you see, buy it. It’s that simple. I read the free sample and bought the book. 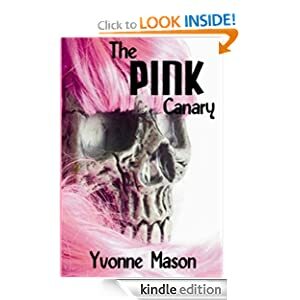 I was scrolling down the list of Yvonne’s books and found The Pink Canary. I read the free sample, marveled at the cover, and said Wow! Terri DelCampo, my wife, asked me what I was wowing about, and I told her. Long story short: she just purchased the Kindle version. 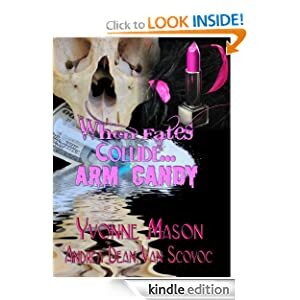 Who could resist a mystery/horror/funny/Drag Queen tale? Yvonne got the opinions of people who know about such things. Vicky Lane has been a Drag Queen for years.The reviews are great! Check it out. There are bodies piling up in Key West…. Serial Killer? The bodies showing up outside a famous drag bar….is that a clue or a coincidence? A book that delves into the Life of a Drag Queen and a marvelous “Who done it?” Clever! Let’s go into their world of Mascara and Stiletto Heels and observe. Who could be killing all these gay men and why? The local detectives and cops go on a case that has been haunting the head detective and the main character since their days in the Big Apple. Does the detective has a love/hate relationship with the Drag Queen or is it a lot less Hate and more Love than admitted? Exciting and Hilarious! Who will be next on the list of murder? The story is as seen through the main character’s eyes and what eyes they are! Lou the mild mannered detective by day and Lola a FABULOUS drag queen by night who can get into all kinds of trouble!! How her friends try to help her find the killer and catch the monster behind these unspeakable murders. I have been a Drag Queen for over 40 years and this is the first time I have been asked to collaborate on a book. Drag Queens are my speciality and I have worked in Cabaret shows since 1968 as well as extensively in Musical Theater, Television, Radio and Films. I really was excited and honored to help with the book and this book was an ultimate thrill for me.Thanks toYvonne Mason for her faith in me, and for having the insight to choose me to help her navigate this drag queen world. Thanks to Peter for his energy and Marvolous Wit…We will always be connected with this superb Book! A terrific (dare I say FABULOUS read). I thoroughly enjoyed it. Love the way it also gives the details about drag and the NY info. It roped me in from the get-go and kept me in until the very end. A absolutely delightful MUST read. 5.0 out of 5 starsWings go flying-Drag queens drop like flies!!!!! Another master piece by Yvonne Mason. and murder.Will have you scared,laughing and crying.You must read it.Think Birdgage meets Bundy!!! 5.0 out of 5 starsA very witty book, I just started it and I love it. I have not gotten far, but this is the book I’ve been longing for. I love gay cabaret, the setting of the book is in the drag queen subculture of Key West, the story takes place in a gay nightclub. I’ve always been fascinated by Key West,the location of the story. I know this is one book that will keep me entertained. The author allowed that there was a real murder that occurred in a gay, NYC nightclub, that inspired her. It remains to be seen if this is a variant of a “roman a clef”. This book is for lovers of RuPaul, Harvey Firestein and Armested Maupin’s Tales of the City. There have been so many serious issues in the gay communities of all our cities, as well as our nation as a whole; it’s time to get laid back and enjoy a good dramedy. Tangled Minds is not a casually written book. This is a stellar, imaginative book, told in a compelling fashion. I certainly suggest it. Tangled Minds is a masterpiece. In the fine tradition of John Steinbeck’s Of Mice and Men, Yvonne Mason leads the reader through the twisted and tangled lives of Brianna Van Pelt and her son, Josh, thrusting us into a Pygmalion dilemma that has consumed scholars for decades. Is there such a thing as a “bad seed”, an individual whose feet are placed upon a path of crime and evil almost from the beginning? Thwarted by her parents’ tough love, seventeen-year-old, single mother, Brianna, allows herself to be drawn into a new world glittering with easy money and false promises, accepting that proposition that no good girl ever should. With her young son, Josh, in tow, she dazzles with new prosperity, fulfilling the fantasies of not only her glorified pimp, Ken Morgan, but those of a judge and a host of depraved, desperate men in their wake. Format: Paperback Brianna Van Pelt was a seventeen year old spoiled little brat. She did not want to accept the consequences of sleeping with her boyfriend, Benny. When her son Joshua was born into the world, she hated him, hated the sight of him, hated that he messed up her teenage perfect popular life. She vowed to care for him, but never would she love him. Brianna blamed him, blamed her parents, but never blamed herself for the road she was about to choose; the road that will quickly take away her youth. Punishing her parents for the wrong reason, Brianna ended up hatching a plan. Planning to move out, get a job, and take Josh away from his grandparents forever. Leaving him in the hot vehicle while filling out an application for a BBQ restaurant was the beginning of things worse to come. There she met Bill, who introduced her to Ken. Bill Bredlove was a sleaze in every sense of the word; Ken Morgan on the other hand had a plan for Brianna, at least she would be well taken care of. She only had to do a few “favors” for Ken’s male clients. She would be paid quite well, have her own luxurious apartment, clothes, jewelry, and even a nanny for Josh. The selfish girl could not turn down the offer, no matter who it was Ken would have lined up for her to sleep with. Ken and Bill were partners, but Bill began abusing the girls and Ken had to remedy the situation before something bad happened to the girls or Brianna. Only the threat didn’t keep Bill away, it only caused him to roll on Ken and get him sent to prison. Knowing the girls would need him eventually; Bill just sat back and waited. Always lugging Josh around in the middle of the night, it was written in the stars that he would follow in his mothers footsteps, never taking the blame on himself, it was always someone else’s fault. Little did he know he would end up following his fathers footsteps as well when he is sent to prison for 10 years. Only knowing love from two people that were not actually related to him, Josh was delt a bad hand from the start of his life. Would life in prison change him? Would Brianna ever come to realize she caused her own fate? Only time will tell. Tangled Minds is a masterpiece. In the fine tradition of John Steinbeck’s Of Mice and Men, Yvonne Mason leads the reader through the twisted and tangled lives of Brianna Van Pelt and her son, Josh, thrusting us into a Pygmalion dilemma that has consumed scholars for decades. Is there such a thing as a “bad seed”, an individual whose feet are placed upon a path of crime and evil almost from the beginning? If the circumstances of one’s birth or the choices one makes cannot be overcome with love, patience and the rarely grasped opportunity for redemption, what chance is there for any of us? 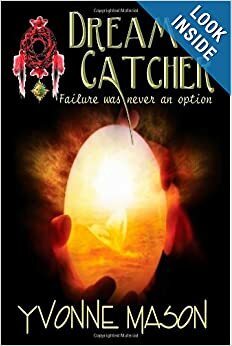 Thwarted by her parents’ tough love, seventeen-year-old, single mother, Brianna, allows herself to be drawn into a new world glittering with easy money and false promises, accepting that proposition that no good girl ever should. With her young son, Josh, in tow, she dazzles with new prosperity, fulfilling the fantasies of not only her glorified pimp, Ken Morgan, but those of a judge and a host of depraved, desperate men in their wake. 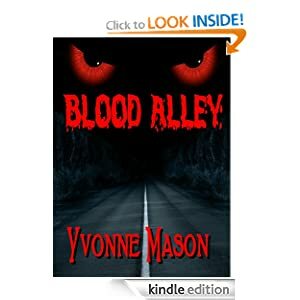 Ms. Mason’s familiarity with the legal system and law enforcement showed through clearly in several well orchestrated scenes, as the long arm of the law repeatedly tried to halt the ring of drugs and prostitution and Brianna and her son fled for the safety of the mountains. Ms. Mason’s understanding of mountain people was stellar. These simple folk protect their own with fierce loyalty and Brianna and Josh find shelter beneath their net of poverty, love, moonshine and madness. Here, transgressors simply disappear, never to be heard from again and the mountains hold their secrets close to their chests as nature smoothes the pothole’s dark waters and envelops the hills in song and greenery. Even murder seems somehow justified in a place such as this, but the twisted and convoluted logic of its inhabitants finds no sympathetic ear in the outside world and Josh must ultimately face the consequences of his actions. And yet, within this story, there lies hope. In Hannah and Miss Amy, we see the opposing force of love, the light of goodness that can blaze through even the meanest dark, if only one has the courage to reach for it. Fragile yet steadfast, this gentler emotion finally reaches even Brianna, a woman some would have classified beyond redemption. In love’s golden glow, we find hope, hope for Brianna and Josh and perhaps even for ourselves, as well. Tangled Minds should be required reading for every high school senior or college freshman, although its audience is clearly much wider. Life is, indeed, full of choices and consequences. An individual may be able to run fast and far, but in the end, he cannot outrun the ultimate judge – himself. True redemption begins from within. May love’s tiny flame light the way as we reconcile our past, lift our face into the winds of change and set our feet once more upon the good road. An excellent read! 5.0 out of 5 starsTangled Minds-AWESOME!!!!! Omg this book is full of bigger than life characters.Its like your in the story.The people are so real,it leaves you wanting more. I’m reading it for second time(waiting for sequel). 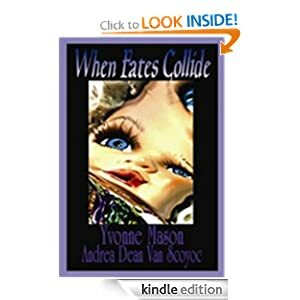 In addition to the books I have spotlighted above, Yvonne has many others for you to read, showcased on her Amazon Author page. 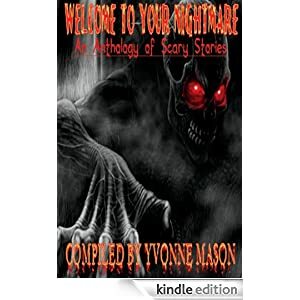 Yvonne Mason is a Woman In Horror! Have You Gotten Your Copy of The Mad Hatter Yet? If you have not yet ordered your book The Mad Hatter which is the latest release – my question is why not? It will keep you on the edge of your seat and when you are finished you will still have questions- that is just how I roll!!!! Check it out today.